Today is World Social Worker Day, a day to honor the women and men who serve in this often unheralded yet critical role. Today is World Social Worker Day, a day to honor the women and men who serve in this often unheralded yet critical role. 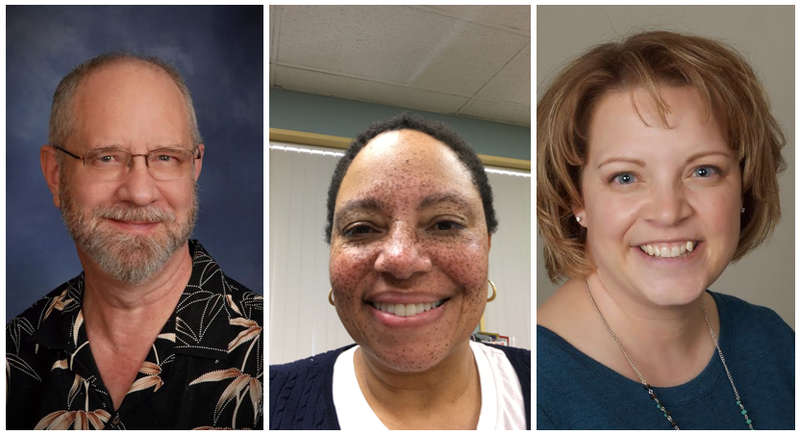 I am dedicating this column to a Q&A with three outstanding social workers — Jennifer Bruner, John Lake, and Robin Wiley — who treat patients through our programs at AbleTo and in their own private practices. Behavior change is hard. We doctors are very good at ‘prescribing change.’ We tell patients what they should do — eat right, exercise, manage your stress, take your pills, and more. But what we aren’t as good at doing is actually helping patients identify the barriers that keep them from achieving these goals and helping them overcome those barriers, such as depression, anxiety, and stress-related disorders. To me, this was exemplified in a recently published research study, the REMIND study that showed that simply giving patients a fancy pillbox was not sufficient to increase medication adherence. They weren’t identifying the real root cause or asking why patients were unable to take their medications. Enter the social worker. Understanding behavior and helping people change their lives is what social workers are wired to do. It’s quite incredible. Yes, behavior change is hard, but we caught up with three social workers to ask them how they do it, how they were inspired to chose social work, and how technology is changing their practice. What role do you see yourself playing in helping people change their behavior? Jennifer: At some point, we are all confronted with a decision to make change within our lives, whether it is desired or needed for our own well-being. It is not easy. As a therapist, recognizing and validating that difficulty is the first step. I see my role as helping the participant discover their own inner strengths with the use of a few new skills to help them reach their goals. John: I help clients by being flexible and responsive, playing a variety of roles depending on the client and the situation. I hope to help people recognize their own internal resources, be able to apply those capacities, learn helpful new skills, coordinate with external resources, and overcome internal or external obstacles and barriers. One of the most useful ways I interact with clients is by validating their lives, acknowledging the worth of a person’s whole subjective experience, including both the negative and positive aspects. Robin: As a social worker, I’m facilitating change in partnership with people. I don’t have the magic wand. People typically want to change, but need the support to make the decision to change. I’m helping clients to gain insight which fosters their ability to see that change may be necessary. Share a little about yourself — why social work? Jennifer Bruner: I was first inspired by the idea of social work from a young age. My fourth grade class had a guest speaker come talk to us about the Ronald McDonald House and how it helps provide housing for families whose children are ill and receiving treatment. The idea that a group of people could be orchestrated together for such a worthy cause inspired me that with others I could make a difference in this world. John Lake: I enrolled in a Master’s in Social Work program when I was 38 years old. My primary interest and experience is working in the mental health system. “Behavioral health” is the term that is often used at present, although I think improving people’s “emotional health” is often the important area. Specialized expertise is sometimes necessary, but…I think I serve clients better by being able to offer a basic toolkit. Because I live and work in a rural environment, my area of focus is as an “advanced generalist”. Practice in a rural area offers different opportunities and constraints than in a densely populated area, and having a range of skills and perspectives is useful. Robin Wiley: I’m an LCSW in New Jersey. I’ve been in the field of social work for about 22 years. I chose social work because I liked how social work address the whole person…taking into consideration the environment, family dynamic, etc. I feel that distinguishes social work from other helping professions. In my private practice, I see children, teens, and adults; but my focus currently has been with the elderly. How has technology impacted the practice of social work? Jennifer: Technology has opened up a whole new way of delivering quality services and connecting patients to specific resources. As an original skeptic myself regarding the use of technology in a relational driven field, I have come to learn of its incredible value and potential. I can truly say that most of the participants I have had the opportunity to work with would not otherwise have sought out or received quality mental health care if it were not for technology. It overcomes financial barriers, lack of transportation, health restrictions, time restraints, disruption to work, and access to providers. Most report that it feels more confidential and private than going into a physical setting and less pressure of a face to face encounter allowing them to be more comfortable and open to share. John: Communications technology has allowed me to work for AbleTo, and allows AbleTo to provide services to clients in the comfort and convenience of their own home. Technology has allowed some clients to benefit from increased social interaction by allowing virtual interaction using the internet. And to the extent that technology allows clearer and more coordinated communication between providers, I think that technology has helped clients. Robin: Technology, simply, provides more access to social work. Technology provides clients who cannot come into an office the opportunity to get the help they need in a way that is convenient for them. Technology is an ever-growing part of our practice. Many thanks to Jennifer, John, and Robin for sharing their perspectives and helping us understand and appreciate the profession of social work on a deeper level. Change is hard. But thankfully, we have providers like these to help people make meaningful change in their lives.